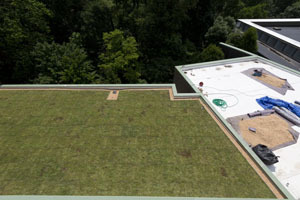 Last month Swarthmore College and the Scott Arboretum installed their fifth green roof on the Lang Performing Art Center’s six layered roof. All of our green roof installations were retrofitted to an existing roof, thus each one presented unique challenges and solutions. The latest install was no exception. 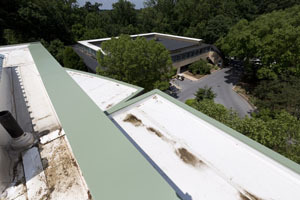 Built in 1991, the Lang Performing Arts Center needed a new roof membrane this year; a perfect opportunity to add a green roof to an existing building. Changing this roof to a green roof will actually increase the life of roof membrane by threefold. This three-story building has six different roof levels with varying load capacities, resulting in an extensive green roof with semi-intensive sections. To create this beautiful and ecologically conscious roof, several new to Swarthmore techniques were employed. In the past, we have used large super sacks to lift the growing media onto the roof. 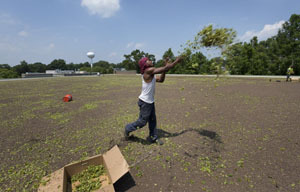 This time Green Roof Services used large blowers to spread the media over all the roof layers. This same technique was also used to apply water/protective mixture to the roof after “planting” the roof. Another difference in construction of this roof is how it was planted. Over the dance studios, the portion of the roof with the smallest load capacity, sedum sod was applied as opposed to sedum cuttings. It is similar to rolling sod into your lawn. This section consists simply of gravel and two inches of sod. Over the theater, thanks to the requirements to make the theater sound proof, the roof could support a greater load. 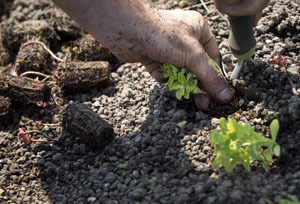 Here you can find ribbons of semi-intensive ten-inch mounded soil planted with grasses and sedum plugs. 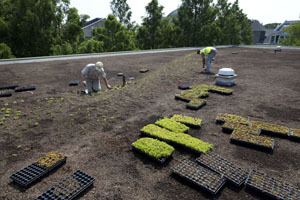 The remaining roofs were planted with sedum cuttings, as was done on our other roofs, and sedum seed. The seed was applied with a broadcast spreader, just like you might apply it to your lawn. 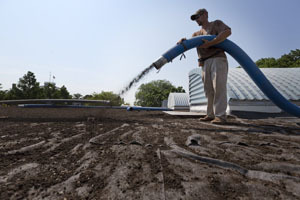 The addition of the seed is an economical way to fill in the roof more quickly. Learn more about creating a green roof in our video series: Building a Green Roof. Also check our schedule to join us on our fall tours of the green roofs . What have you planted on the semi-intensive sections?